The Podcast Industry is booming and Podcast Insights has determined that 50% of US homes are fans of listening to podcasts. That’s why we are confident that there is an audience out there for you somewhere, if you decide to start your podcast today, even in this saturated industry. However, gaining loyal podcast fans will take a great deal of time and effort on your part at first. But once you know how and have the right tools it’ll become easier with every episode you put out. It’s all about making the initial investment and watching it pay off as your podcast grows. Using these 6 ways, you will be able to create a loyal fan base for your show. The more you use these helpful tips, the easier it will become to gain more loyal fans. When it comes to attracting loyal listeners, one of the first things to do is set up some type of structure within your show. Creating a structure can simply mean making seasons instead of just a ton of episodes. This can even apply if your podcast is nonfiction. Making seasons will be beneficial to you as well as to your listener. Each season will establish an outline for you to follow and guide you in your content creation. This will also help you to better narrow down the guests you invite on the show, as each guest’s specific expertise will allign with the topic of the season. It would also make it easier for your listeners to follow your podcast episodes and allow them to find a specific episode if they know in which season to look for it. They can also search through your seasons to see which topics most are most applicable to them and focus their time on those specific episodes. Then, as each season ends, you can take a break to give yourself some time to reset and give your listeners something to look forward to as they wait for the next season to begin. When you’re busy with the content creation process, it is important to include the topics that the listeners have requested. Sometimes listeners don’t necessarily ask for specific topics, so instead, answer questions about your experience as a podcaster and maybe to give them a few tips. Use listener feedback to generate topics that are uniquely tailored to their needs. Answering all of your listener’s questions might take up a lot of your time. So a great idea is to create an episode after each season where you answer all the questions asked by your listeners. 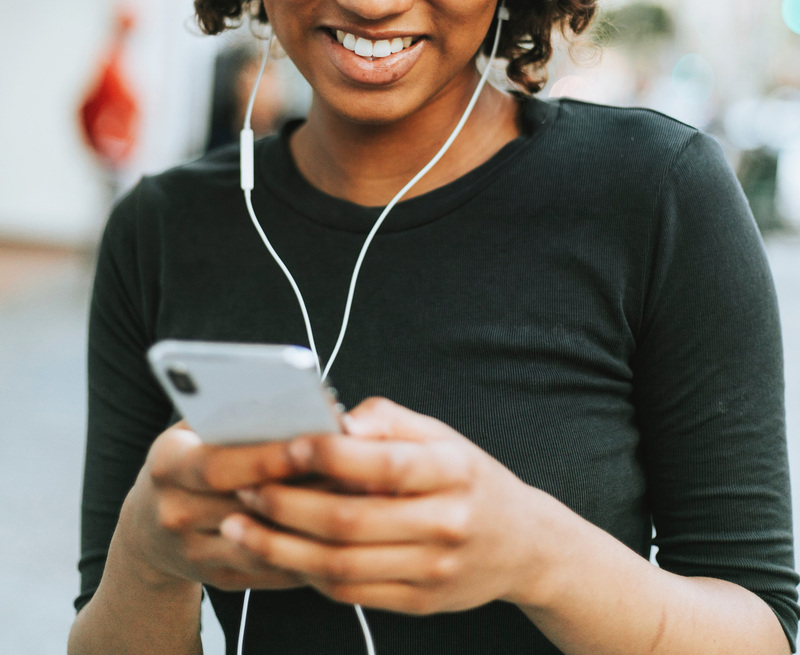 This acknowledging your listeners in such a way will make them feel more involved and appreciated, in turn creating those loyal podcast fans you desire. Listeners tune in every week to hear YOU talk about a specific topic. Even though listeners tune in for the topic of the episode it will be the way you convey the message that will either make or break a future relationship. IT all comes down to the way you interpret a specific topic and how digestible you make the content for your listeners so that they can apply it to their own lives. Keep in mind, you are not only a podcaster but you are also an entertainer! So take the time and gather the resources you’ll need to share your expertise and research with your listeners in a way that will make them come back to hear you talk, no matter what the topic might be. There are so many podcasts out there discussing the exact same topics as you, so making you’re podcast unique is very important. One way of setting your podcast apart from the rest is to offer your listeners with a type of episode format that is exclusive to your podcast. This could be anything from a quirky Q&A, something related to a holiday coming up (St. Patrick’s Day, Valentine’s Day ect. ), or even diving into the latest trend. These types of episodes become something they can look forward to each month, where you go above and beyond just for them. There’s nothing quite as effective in creating loyal listeners as ending your episodes in a melodramatic way, leaving them wanting more! A great way to add that classic cliffhanger to your episodes is to offer your listeners a sneak peek of what is to come in the next episode. A few ideas can include giving them a riddle to figure out to find out what exciting guests will be featured in the next episode. Or perhaps even leaving them with an unanswered question or detail that will be revealed with the next episode. Remember to keep the conversation open by sending out reminder Emails to all your subscribers with all the juicy details and getting them excited for each episode release. As a successful podcaster, it is your job to create a place where your listeners can express themselves and their opinions without feeling judged. This type of community really brings your listeners together and creates a deeper relationship with them and your podcast. Launching a podcast Facebook group is an easy way to get started in growing your community and gives your listeners a place to further discuss their favorite podcast episodes. Here they will be able to offer you suggestions and just have a chat with other like-minded, loyal podcast fans. You can encourage participation by offering them extra details and content such as freebies or worksheets that others outside of the group won’t be privileged to enjoy. They will know that the group space is their own, and a strong community will develop!